Creative Commons Attribution 3.0 License - Applies to all KiCad files, Gerber files and any other drawings of enclosures, parts etc. such as PDF, SVG or DXF files. Apache License Version 2.0 - Applies to all software and any hardware designs expressed in the form of programs -- Py2SCAD, OpenSCAD, Python etc. Custom 1.2" (32mm) 8x8 LED array with 365nm and 570nm wavelength LEDs. 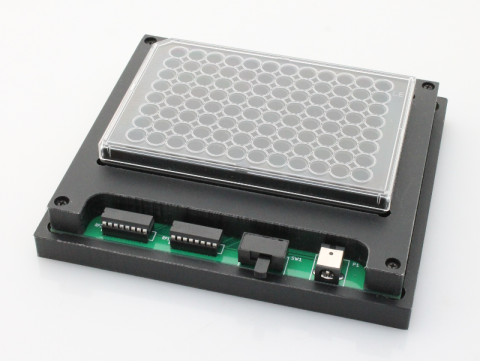 Design files (CAD/CAM) for making the 2-part machined black enclosure for mounting microplate LED array boards. KiCad design for a 12 x 8 LED array. LEDs are spaced 9mm apart for use with standard 96-well microplates. Adapter PCB for connecting one of the Pine Instrumentation screen printed carbon electrodes (spce) to the CheapStat device. The colorimeter filter holder is used to mount a custom 0.5" diameter bandpass filters (Cheshire Optical or similar). 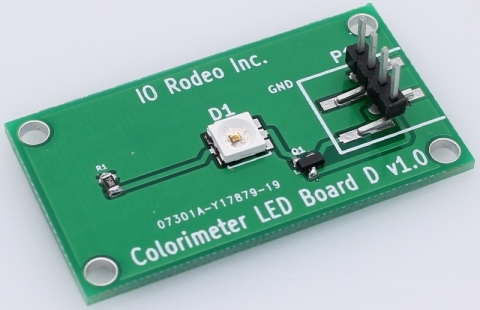 Used with the beeralyzer LED board. Filter holder dimensions: 1.80" x 1.0 " x 0.55". 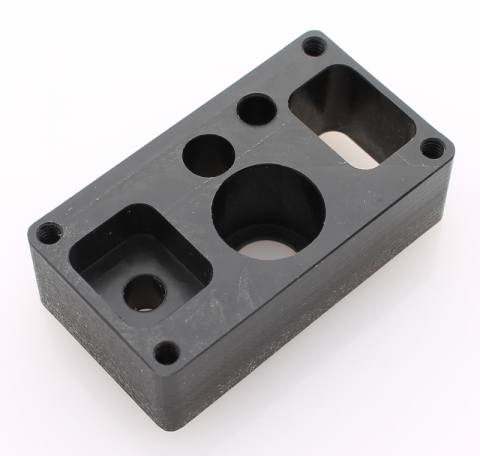 Part is machined from black delrin. This is a large 18 cm x 13 cm physics photogate used in timing experiments. 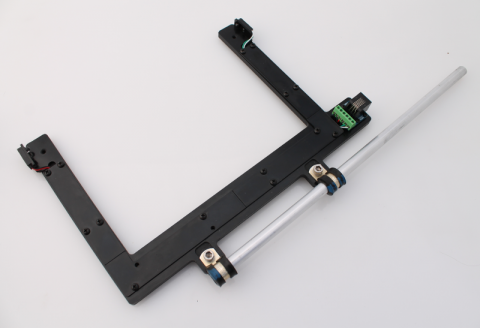 Photogates are made from 0.25" black ABS and include a 1 ft long rod for mounting. 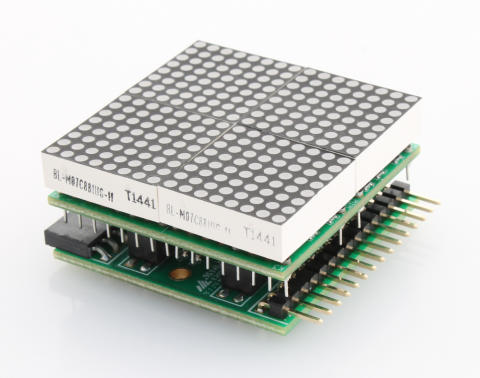 Recommended for use with an Arduino, Photogate Shield and photogate firmware and software for timing moving objects between gates and in-gate. 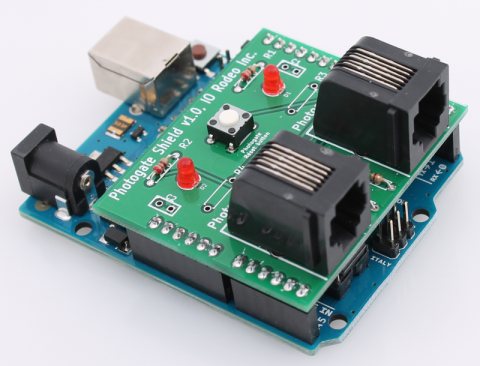 This photogate shield for Arduino is used for kinematics experiments with 1-2 physics photogates. For example, timing moving objects such as carts on an inclined track. The shield includes a pair of RJ11 connectors for each photogate, red led indicators for visual photogate status (connected, object in gate) and a timing reset button. These CheapStat enclosures are made by milling a 5.512" x 2.598" x 1.102" Hammond enclosure (DigiKey Part # HM869-ND). Design files include the CAM files (py2gcode, gcode) for milling the hammond enclosures. Each enclosure has custom holes for the LCD display, joystick button, alligator test leads for attaching electrodes, USB and battery switch. 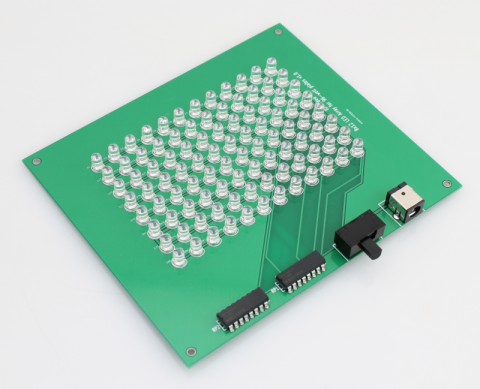 These LED boards were designed for surface mount PLCC 5050 LEDs. Design includes a 4-pin connector, smt 0805 resistor and NPN transistor. 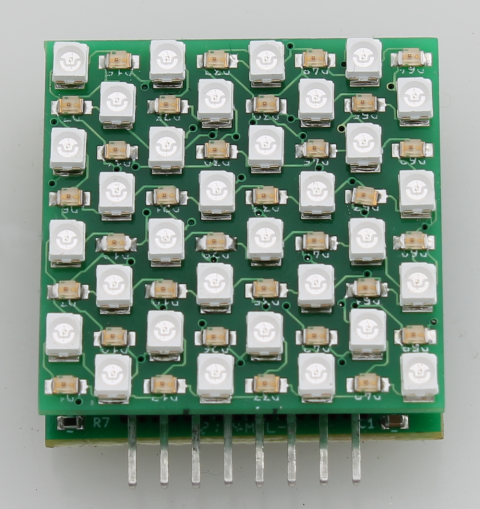 LEDs that have been used with this board include several of the Deep UV LEDs (265 nm, 280 nm and 310 nm) from Zhuhai Tianhui Electronics Co.